This course is a survey of the Primeval History presented in Genesis 1-11, as well as a survey of the Pentateuch, with a special exploration of the life of the patriarch Abraham as presented in Genesis 12-25. 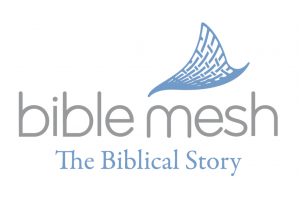 Genesis 1–11 contains some of the most familiar stories in the Bible. The creation week, Adam and Eve, the Garden of Eden, Noah's ark, the Tower of Babel — Christians know these stories well. But how many believers know what Moses intended these stories to teach? In its ancient context, this primeval history was not a simple historical record. Rather, it was a forceful argument condemning Egypt and encouraging Israel to follow Moses to the Promised Land. The first five books of the Old Testament are commonly called the Pentateuch. They tell the story of the nation of Israel from creation to preparation for the conquest of the Promised Land. But is the Pentateuch simply the historical account of God’s chosen people? Or is it something more? This series explores the books of Genesis through Deuteronomy, examining why they were written, what they meant to their original audience, and how we should respond to them today. This series will also explore the account of Abraham's life in Genesis from a distinctly Christian perspective in order to answer questions such as: What did these stories mean for those who first received them? And what do they mean for us today? This course is made up of three Third Millennium Ministries courses: Pentateuch, Primeval History, and Father Abraham. Orient students to Moses' role as Israel's leader. Explain the function of primeval narratives in the ancient Near East. Summarize the structure, content, original meaning and modern application of the books of Genesis through Deuteronomy. Explain how Moses' original audience would have understood the narratives contained in the first five books of the Bible and what these stories mean for modern believers. Explain how Abraham's life served as a model for Israel in Moses' day. Provide outlooks and information on a variety of issues associated with the Pentateuch. This course is for those who like to better understand and apply the teachings of the Pentateuch.